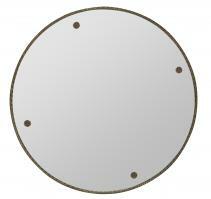 This simple round mirror has a single slim wood border that is finished in mocha. Border is just enough to provide an outline for mirror against wall without taking away from reflective surface. 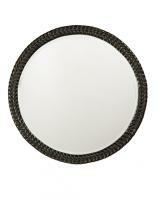 The darker shade of the frame will make this mirror really stand out in beautiful elegance in any decor. 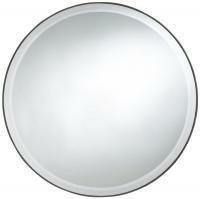 The simple style will never be out of date, so the room furnishings can change, and the mirror will always fit in well. 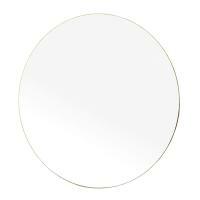 This large circle will look perfect in the bathroom, bedroom or an entry hall. This is a gorgeous mirror! 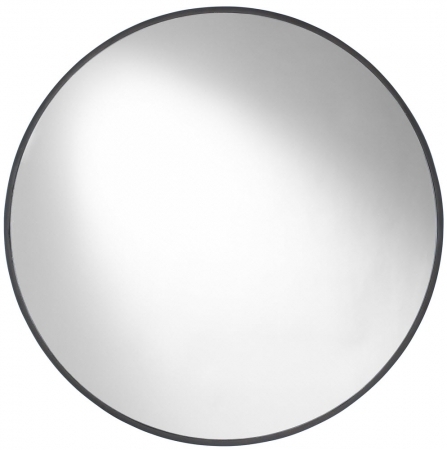 We just finished remodeling a fairly small, 60-year-old bathroom and this beautiful, round mirror was perfect for softening the hard angles of the rest of the room. It would work well in virtually any decor style from traditional to modern. The customer service provided by UniqueMirros is second to none - a true win-win situation!